The Western UP Center has posted results and photos of the 2014 science fair held at the Memorial Union on March 25, 2014. The 15th annual fair, held at Michigan Technological University, drew 230 fourth- through eighth-graders from across the western Upper Peninsula. Houghton Middle School students Jonnelle Yankovich and Daryn DuPont measured whether Walmart or Prince rabbit feed would make DuPont’s rabbits gain the most weight. Their hypothesis of Walmart was proven incorrect. “We thought it would be a good idea to do a project with rabbits, because it was something that we figured a lot of other people wouldn’t be doing,” Yankovich said. The students got extra credit for their science class, and had fun besides. 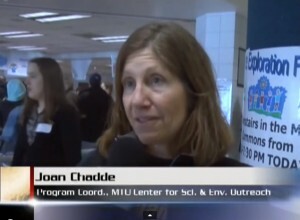 Chadde says the Science and Engineering Festival is a way to reward the students for their hard work on their science fair projects and it gives them some fun things to do while they wait for their project to be judged. She added that more than 50 Michigan Tech students from 14 different organizations help make this festival interesting for the children. “They’re wonderful role models for the younger students that are here. And we help them, items of supplies and organization. But they do it so it’s really a fun event and you can see it’s packed. Parents love it and the kids love it,” she said. Read more and watch the video at ABC 10 WBUP WBKP, by Mike Hoey. 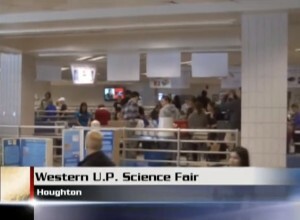 The Western UP Science Fair is sponsored by the Western UP Center for Science, Mathematics and Environmental Education, Michigan Tech Chapter of Omega Chi Epsilon Chemical Engineering Honor Society, Michigan Tech Chapter of American Society of Engineering Education and the Carnegie Museum. Students from sixteen schools in Houghton, Baraga, Ontonagon and Gogebic Counties will participate: Chassell Elementary, CLK Elementary, E.B. Holman School, Houghton Elementary, Barkell Elementary, Lake Linden-Hubbell Elementary, Arvon Township School, Houghton Middle School, Lake Linden-Hubbell Middle School, LL Wright Middle School, L’Anse Middle School, Washington Middle School, Hancock Middle School, Ewen Trout Creek School, Northwoods Christian School and Watersmeet School. 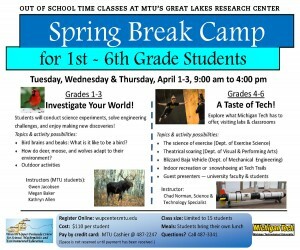 The camp will be held at the Great Lakes Research Center, Tuesday-Thursday, April 1-3. Grades 1-3: Investigate Your World! Grades 4-6: A Taste of Tech! Sponsored by the Western UP Center for Science, Math and Environmental Education and Michigan Tech. A Peace Corps information session will be held Thursday, March 20, at 6 p.m., in MUB Alumni Lounge B. Peace Corps Volunteers are making a difference all over the world in the areas of education, health and the environment. Stop by this information session to learn more about the benefits of service and how you can live, work and learn overseas after graduation. Teachers are invited to apply to these summer institutes, which are part of Teacher Professional Development in the Department of Cognitive and Learning Sciences. 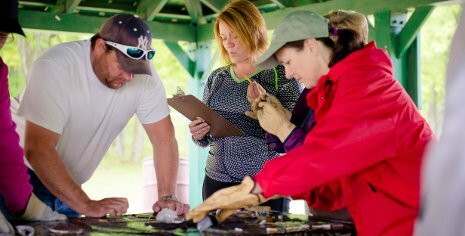 Both Forest Ecology and Resources (Urban Forest Ecology at Belle Isle) and Global Change are worth two college credits. They are coordinated by the Western U. P. Center for Science, Math & Environmental Education. Perceived body image affects all members of a society. The desired look present in a culture determines how others will view themselves. In Western cultures, women who are considered beautiful are tall, skinny, have facial symmetry and light skin. Not every member of our society looks like this ideal and it creates problems across the sexes socioeconomic backgrounds. Darryl Roberts examines our “obsession with beauty” in his documentary “America the Beautiful,” which was screened on Feb. 20 on campus. Who really benefits from people’s insecurities? That’s what Darryl Roberts is trying to find out. On February 25 there was a showing of his newest installation of the series, “America the Beautiful 3,” as a part of National Eating Disorder Awareness Week. This film focuses on “the sexualization of our youth,” and is having its first showing ever here. On February 27, there was free and confidential eating disorder screenings in the MUB Peninsula room conducted by MTU Counseling Services, supported by the Association of Psychology Students. 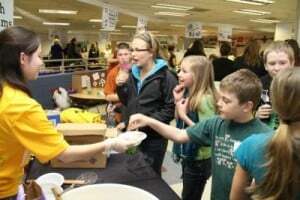 Read more at the Michigan Tech Lode, by Sarah Harttung. 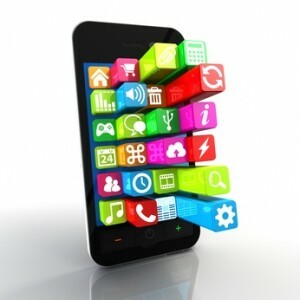 The Western UP Center for Science, Math and Environmental Education, based at Michigan Tech, is offering a four-week class for students in grades 9-12, covering the fundamentals of computer programming for Android mobile devices, graphic design and mobile app development. Students will work in small teams to create a working Android mobile app for a community or school organization. The class will be taught at Houghton High School, Room 124, from 3:45-5:30 p.m. Mondays and Thursdays, starting March 17. 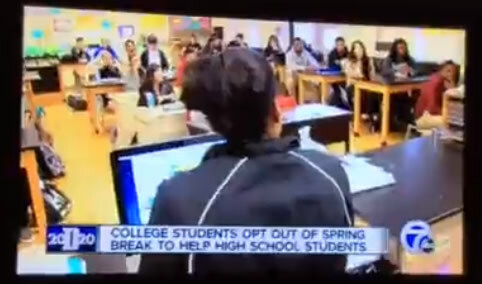 Classes will not meet during the public schools’ spring break. There will be one class on Wednesday, April 9. The class is free and no experience is required. It will be taught by Chad Norman, a science and technology outreach specialist with Michigan Tech’s Center for Science and Environmental Outreach. More information is available at 7-3341. 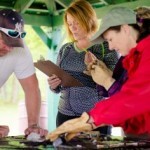 Read more at the WUP Center for Science, Mathematics and Environmental Education. 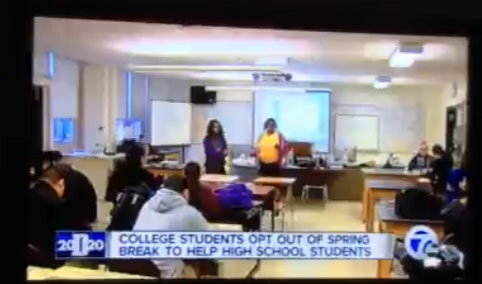 WXYZ Channel 7 news in Detroit aired a feature story about Michigan Tech student members of the campus chapter of the National Society of Black Engineers, who are spending their spring break working to motivate middle and high school students in Detroit schools to see college in their futures and to study science, technology, engineering and math (STEM). The Family Engineering Activities and Presenters were posted by TechAlum Newsletter. The events took place March 11-14, 2014. Travel grants for spring 2014 have been awarded. Among the Presenting Travel Grants ($ 250) recipients are cognitive and learning sciences graduate students Erich Petushek and Wei Zhang. The full list of graduate recipients can be accessed online. Travel grants are awards that help subsidize cost of attending and presenting at conferences. These awards are sponsored by the Graduate Student Government (GSG) and the Graduate School. For more information on travel grants, please visit the webpage. Should you have any questions, contact the GSG treasurer Jennifer Winikus (jawiniku@mtu.edu). 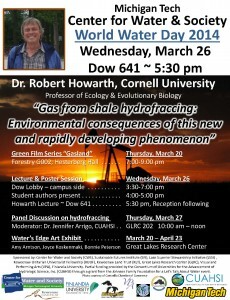 Events include a film, lecture, poster session, panel discussion, and art exhibit, featuring the topic of gas from shale hydrofraccing. Learn more at the Michigan Tech Center for Water and Society. Center for Water and Society (CWS), Lake Superior Stewardship Initiative (LSSI), Keweenaw Unitarian Universalist Fellowship (KUUF), Keweenaw Land Trust (KLT), Sustainable Futures Institute (SFI), Great Lakes Research Center (GLRC, Visual and Performing Arts (MTU), Finlandia University. Partial funding provided by the Consortium of Universities for the Advancement of Hydrologic Science, Inc. (CUAHSI) through a grant from the Johnson Family Foundation for a Let’s Talk About Water event.